Who’s up for some Shadowhunter shenanigans? Katherine McNamara shared this photo of the cast, featuring Alberto Rosende, Matthew Daddario, Harry Shum Jr. and Isaiah Mustafa, at a promo shoot for Shadowhunters on Sunday. Haha the pic is amazing. 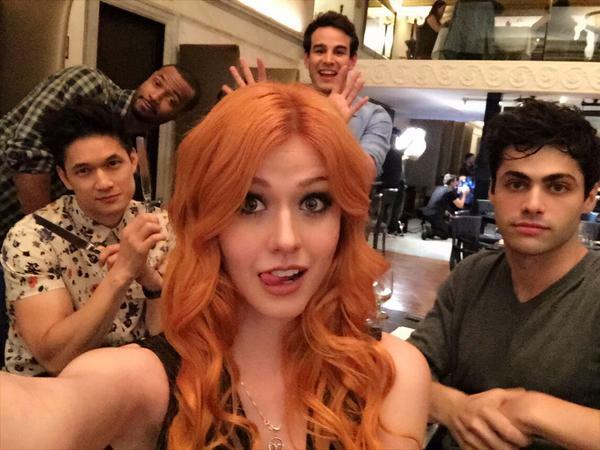 Love the Shadowhunters cast’s shenanigans; they look like they get along sooo well! Anyone else in love with Matt/Alec?